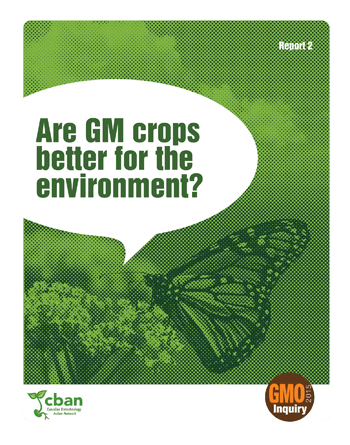 Are GM crops better for the environment? In this second report of the GMO Inquiry 2015, we investigate the impacts and risks of genetically modified organisms (GMOs) on our environment. Genetically modified crops have been a 20-year open-air experiment in Canada. What are the consequences? Do GM crops increase or reduce pesticide use? Do GM crops harm insects like monarch butterflies? What are the impacts of GM contamination?